Cutting-edge AD/DA converters with up to 129dB dynamic range (measured at Monitor Outputs). True sub-millisecond (imperceptible) latency for playback and recording, achieved via lean and stable proprietary Windows Thunderbolt™ driver. A rich collection of circuit-level gear emulations, running in real-time on an integrated FPGA FX platform. Hear the true sound of music with Antelope Audio's next-generation 64-bit Acoustically Focused Clocking technology & jitter management algorithm. 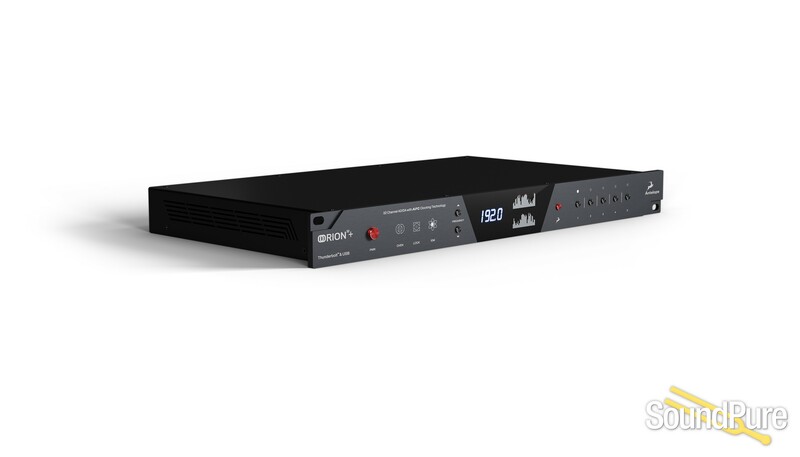 Stream 64 channels of hi-res 24/192 audio over Thunderbolt(TM) or 32 channels over USB; connect digitally via MADI, ADAT, and S/PDIF. Get the job done from the front panel controls, or enjoy routing, mixing, and stacking effects in the PC/Mac app - from any computer on the same network. 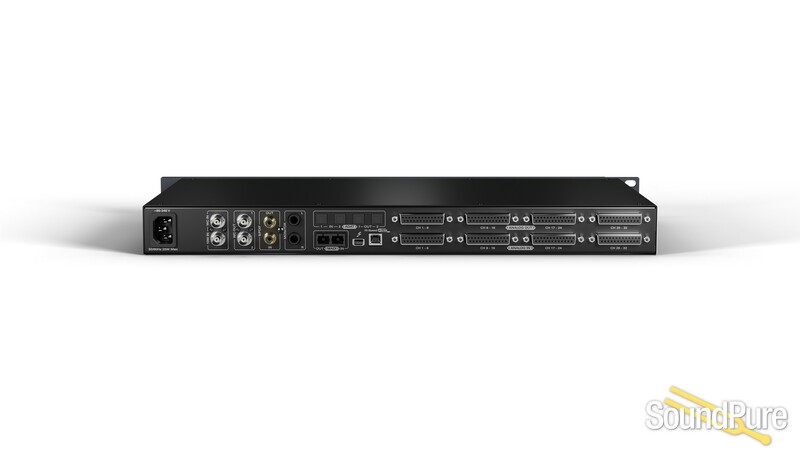 Connecting seamlessly to any DAW, Orion 32+ | Gen 3 offers low-latency streaming of up to 64 simultaneous 24/192 audio channels via Thunderbolt(TM), and up to 32 channels over USB. Analog I/O is handled by 8x DB25 connectors and a pair of TRS monitoring outputs. 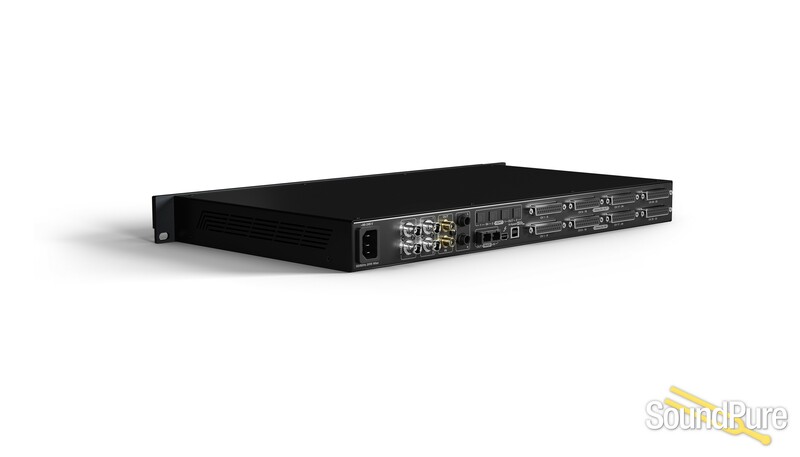 Digital connectivity is ensured by 1x MADI, 2x ADAT, and 1x S/PDIF. Orion 32+ | Gen 3 comes with a generous suite of real-time effects taken from the vast Antelope Audio FPGA FX library. You may purchase additional effects as you deem fit and invest in the AFX2DAW software bridge to use FPGA-processed, low-latency effects as inserts in your preferred DAW. 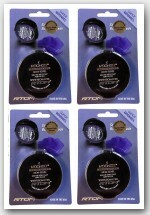 Flawless clocking is our signature in the world of pro audio. And it’s going strong, thanks to our next-generation 64-bit Acoustically Focused Clocking technology & jitter management algorithm. 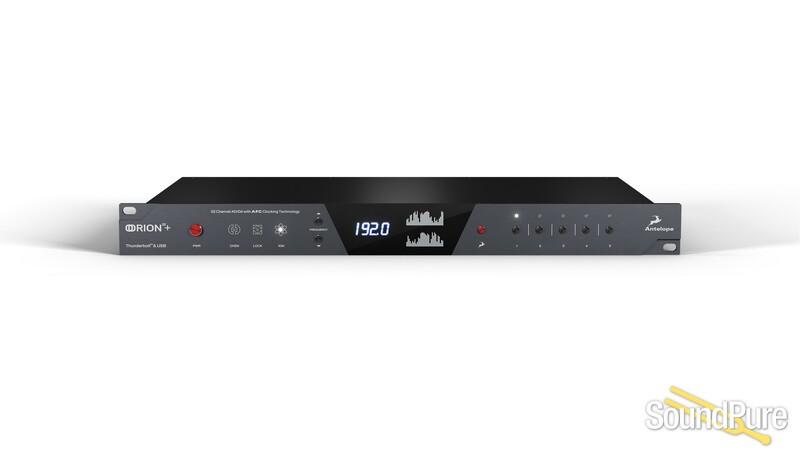 A pair of Word Clock outputs turns the Orion 32+ | Gen 3 into a premium Master Clock for your entire studio, while a 10MHz input enables connectivity to Antelope’s legendary 10M & 10MX Atomic Clocks. With its brand-new AD/DA converters achieving an outstanding 129dB dynamic range (measured at the Monitor Outputs), Orion 32+ | Gen 3 carries forth our reputation for pristine conversion quality. Hear the true sound of music with both digital clarity and analog warmth. SUB-MILLISECOND ROUNDTRIP LATENCY. A FACT. For the Orion32+ | Gen3, Antelope Audio proudly claims sub-millisecond round-trip latency, with AD/DA conversion. We are happy to present the following measurements, made using our proprietary Windows Thunderbolt driver ver. 1.0.4.87 and the Oblique Audio RTL Utility. Stable playback and recording were achieved at the measured settings, in PreSonus Studio One 4, on an Intel Core i7-8700K CPU. Let the figures speak for themselves. * Considering AD/DA conversion’s inherent latency and the technical state-of-the-art in the pro audio industry, it is currently impossible to achieve sub-millisecond latency under each and every recording & playback scenario. Fortunately, the latency achieved in the measurements provided is low enough to be practically imperceptible. ** On macOS we achieved stable playback with 96 samples buffer size, resulting in less than 1.5 ms.